Neal Wolkoff supports Alliance clients in Regulatory Compliance and Advocacy, Risk Management and Capital Efficiency, and Executive Management Consulting. He is a former C-level executive of three exchanges and an attorney in private practice with expertise in commodities, futures and securities markets and clearinghouses. Neal is Of Counsel at the law firm Richardson & Patel. Previously, he served as the Chief Executive Officer of ELX Futures, L.P., founded by major dealer banks and trading firms to compete in the area of interest rate futures. Neal also served as Chairman and Chief Executive Officer of the American Stock Exchange (Amex). Neal resolved a major SEC litigation on highly favorable terms after rebuilding the exchange’s regulatory infrastructure, and thereafter sold the Amex to NYSE Euronext realizing a more than three-fold improvement in value for the seat owners. 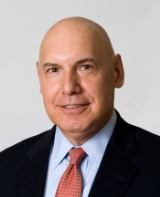 Prior to the Amex, for over 20 years, Neal held several senior level officer positions at the New York Mercantile Exchange (NYMEX) including Acting President, Executive Vice President and Chief Operating Officer, and Senior Vice President for Regulation and Clearing in which position Neal was the exchange’s chief regulatory officer. His tenure at NYMEX included responsibility for all major functions of the exchange. Neal started his career as an Honors Program Trial Attorney in the Division of Enforcement of the Commodity Futures Trading Commission. Neal is frequently quoted in the financial press on industry matters, and appeared on the cover of Forbes Magazine (as “Mr. Clean” for his regulatory strengths) as well as Equities magazine. He has testified before a number of Congressional and state committees on regulatory, market structure and energy matters, and was an expert witness for the U.S. Department of Justice in a criminal trial on commodity related matters. Neal is a member of the Federal Reserve Bank of Chicago Working Group on Financial Markets. He was also recently appointed to the Board of OTC Markets Group. Neal has also served on the Board of Directors and Executive Committee of the National Futures Association. He received a B.A. from Columbia University and a J.D. from Boston University School of Law, and is a member of the Bar of the State of New York. Neal is Vice Chairman of the Board and a member of the Executive Committee of the Golda Och Academy (a Solomon Schechter School) in West Orange, NJ, and was the 2012 Chairman of the Benefit Committee of the Celiac Disease Foundation of Columbia University.